There’s no denying that when it comes to receiving and accepting payments, traditional online fiat currency payment operators reign supreme. However, recent advances in blockchain and financial technology are making free and fast transactions, once touted as impossible, reality. ECR.money is the first merchant-focused zero-fee frictionless payment processor and cryptocurrency to deliver the benefits of blockchain to consumers and businesses all over the world through free and fast transactions. While there has been a race to the bottom as online payment processors continue to lower transactions fees across the board, no one has been able to deliver completely zero-fee and fast transactions until now. 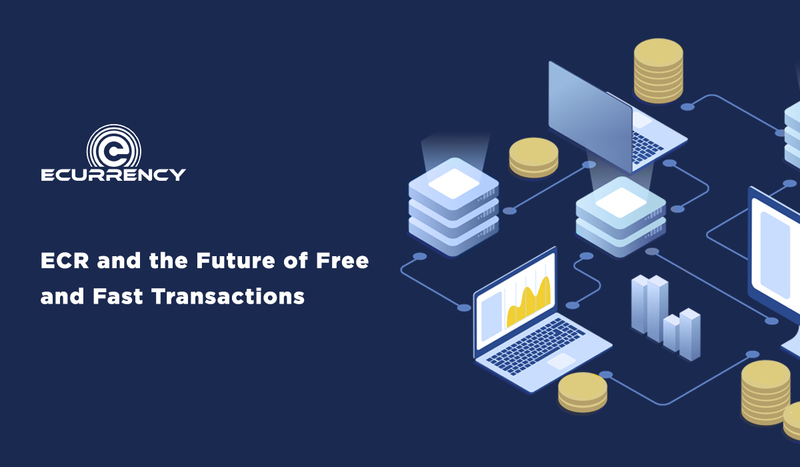 Free and fast international transactions for both merchants and consumers contribute to the evolution of a borderless and frictionless free market for all. The end of transaction fees means more savings for merchants as margins and competitive advantages increase. Consumers stand to equally benefit from zero-fee transactions as prices change to reflect improved product margins. No one should have to pay to use their money, and ECR.money is here to deliver on that promise. With inherent scalability thanks to the technological innovations of the Lightning Network’s second layer scalability protocol, ECR.money will soon be able to compete with the market leaders of online payment processing. For more information on ECR.money’s zero-fee and fast transactions, visit www.ecr.money to view the whitepaper, roadmap, and transaction data. Interested parties can also visit ECR’s Github to view the ECR blockchain source code and a rich history of 14,000+ commits from over 400 contributors.